Before the Dallas Diocese was created the bishops of Galveston took care of the pastoral and spiritual needs of this area. Among the outstanding priests was Father Joseph Martiniere, who first served Dallas as a circuit riding priest from the mission station at St. Paul in Collin County, then as second pastor of Sacred Heart Church in Dallas. He would later become the diocese’s first vicar general. Msgr. Martiniere brought the first religious order, the Ursulines, to Dallas in 1874. The Diocese of Dallas was officially established as a separate see in the state July 15, 1890 by Pope Leo XIII. Dallas became the third diocese in Texas, following Galveston in 1847 and San Antonio in 1874. San Antonio became an archdiocese in 1926 and Dallas became a suffragan see to San Antonio. Thomas Francis Brennan's term of office was short but active. An Irish native, Bishop Brennan was educated in Europe and was ordained in 1880 for the Diocese of Erie, Pa. He was only 37 when he was named bishop of Dallas in December 1890, and he took up residence in Dallas in April 1891. The new diocese embraced 108,000 square miles and spread from Texarkana to El Paso and the Panhandle. Bishop Brennan was a great preacher, linguist, and writer. In 1892, however, the young bishop was relieved of his Dallas post. His ambition — he was striving for Dallas to be made an archdiocese and himself an archbishop — and the alienation of his priests led to his dismissal. Following his removal, he was transferred to Newfoundland where he remained for several years before being recalled to Rome in 1904. Until his death in 1916 he lived in retirement in a monastery. He is buried at Frascatti Monastery near Rome. Edward Joseph Dunne was a Chicago priest before being named to Dallas in 1893. During his episcopacy, St. Paul Sanitarium ( now St. Paul Medical Center), Holy Trinity College (which later evolved into the University of Dallas), and Sacred Heart Cathedral (now the Cathedral Santuario de Guadalupe) were all built. More religious orders moved into the diocese and many parishes and schools were built. Bishop Dunne died in 1910 while visiting in Green Bay, Wis., and was buried in Chicago. 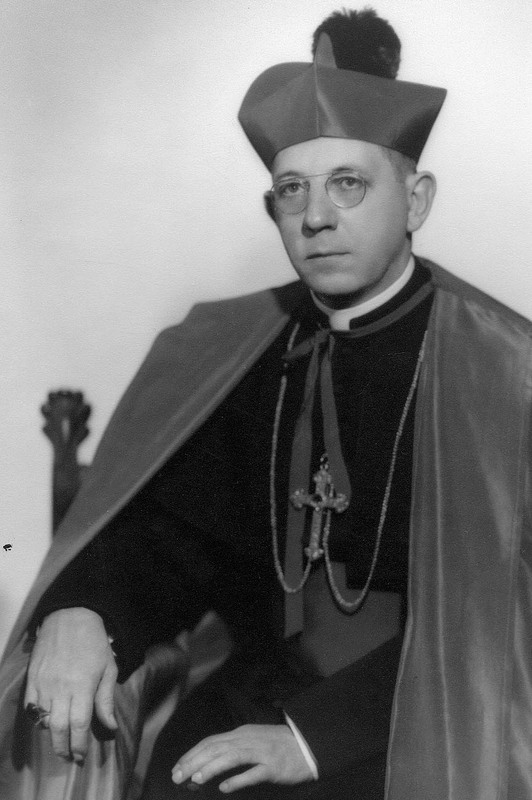 Joseph Patrick Lynch served for 43 years (1911-1954), the longest term of any U.S. bishop. The Michigan native was ordained a priest in 1900 for the Dallas Diocese and was vicar general at the time of his predecessor’s death. Bishop Lynch was a great orator who was often called the "Lion of Texas." He was much sought after as a speaker. As bishop he ordained more than 100 men to the priesthood and established churches in 108 places that had previously been without a Catholic church. 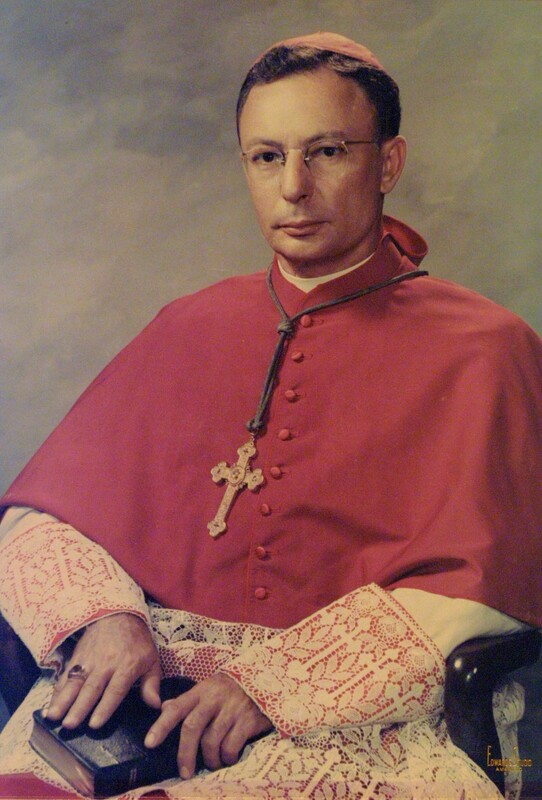 During his years as bishop, the Dallas Diocese decreased in size three times with the creation of the Dioceses of El Paso in 1914, Amarillo in 1926, and Austin in 1953. He died Aug. 19, 1954 and is interred in the Mausoleum Chapel at Calvary Hill Cemetery, Dallas. In 1952 Bishop Thomas K. Gorman was named coadjutor bishop of Dallas and became the ordinary of the diocese upon Bishop Lynch’s death. becoming the fourth bishop of Dallas. Bishop Gorman was a California native educated at The Catholic University of America in Washington, D.C., and at the University of Louvain in Belgium. 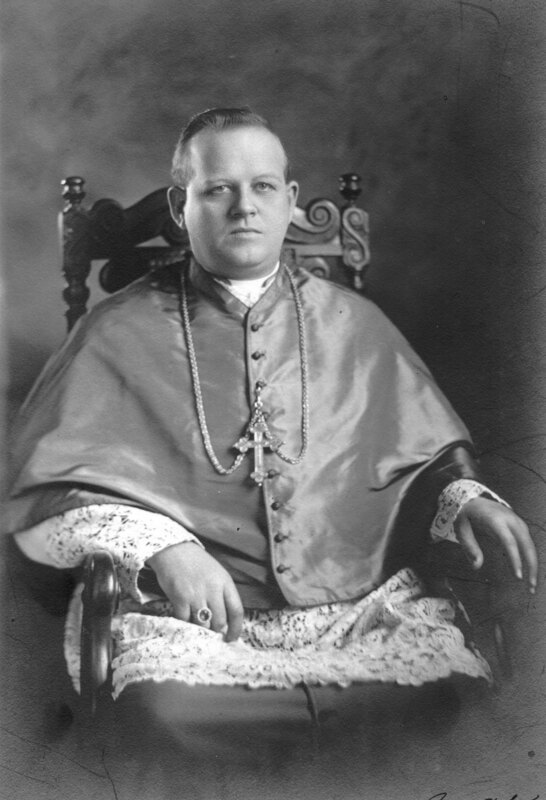 Bishop Gorman, long a supporter of the Catholic press, served as editor of The Tidings, Los Angeles’ Catholic paper, from 1926 to 1931, when he was named first bishop of Reno, Nev. One of his first actions in Dallas was to revive the Texas Catholic newspaper, which had suspended publication after the dismissal of its founder, Bishop Brennan, in 1892. During his tenure, Bishop Gorman built 25 new parochial schools, new high schools in Dallas, Fort Worth, Tyler, and Wichita Falls, and established more than 20 new parishes. He oversaw the re-establishment of the University of Dallas in Irving in 1955 and founded Holy Trinity Seminary, also in Irving, in 1965.He attended Vatican Council II in the early 1960s and participated in the founding of the Texas Catholic Conference and the Texas Conference of Churches. In 1969 Bishop Gorman retired and the diocese was again divided with the creation of the Diocese of Fort Worth. He died in Aug. 16, 1980 and is interred in the Mausoleum Chapel at Calvary Hill Cemetery, Dallas. Bishop Thomas Tschoepe, originally a priest of the Dallas Diocese who was named bishop of San Angelo in 1966, returned to Dallas to become the fifth bishop of the diocese. Bishop Tschoepe was born in Pilot Point, Texas, in 1915. He studied at the Pontifical College Josephinum in Ohio and was ordained a priest in 1943. 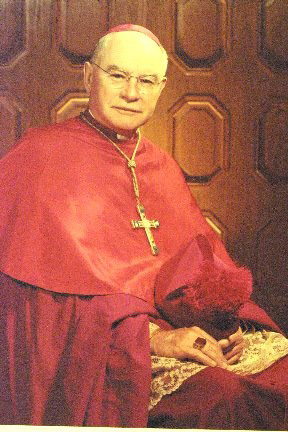 He spent his early years in parish assignments in Sherman, Fort Worth, and Dallas, and later served as chancellor and vicar general of the Dallas Diocese before his appointment in San Angelo. As bishop in Dallas, he lived in a small apartment in the Chancery Office, a typical example of his simple and humble lifestyle. During Bishop Tschoepe’s administration, 21 counties in East Texas were taken from the Dallas Diocese when the Diocese of Tyler was created in 1987. Thus, the diocese, which had over 108,000 square miles when it was created, had a little over 7,000 square miles less than a century later. With a sense of history, Bishop Tschoepe then announced his retirement on July 14, 1990, 100 years less a day after Pope Leo XIII created the diocese. Bishop Tschoepe died January 24, 2009 and is interred in the Mausoleum Chapel at Calvary Hill Cemetery, Dallas. Most Rev. 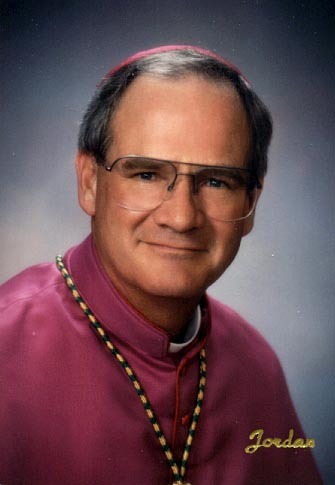 Charles V. Grahmann became the Sixth Bishop of Dallas in 1990 after serving for a short time as coadjutor bishop with B ishop Tschoepe. 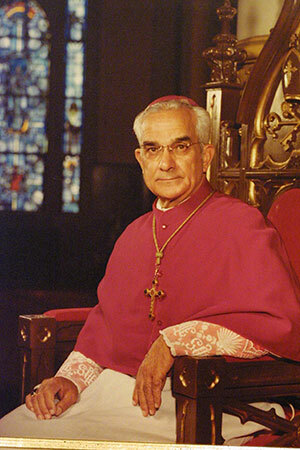 Bishop Grahmann, of German heritage, was born in Hallettsville, Texas, in 1931. He studied at St. John Seminary and Assumption Seminary, both in San Antonio, and was ordained on St. Patrick’s Day, March 17, 1956. After a number of years in parish work, he was named priest-secretary to Archbishop Robert Lucey of San Antonio in 1964. 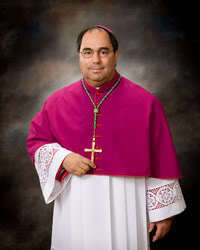 He subsequently served as secretary to Archbishops Francis Furey and Patrick Flores. 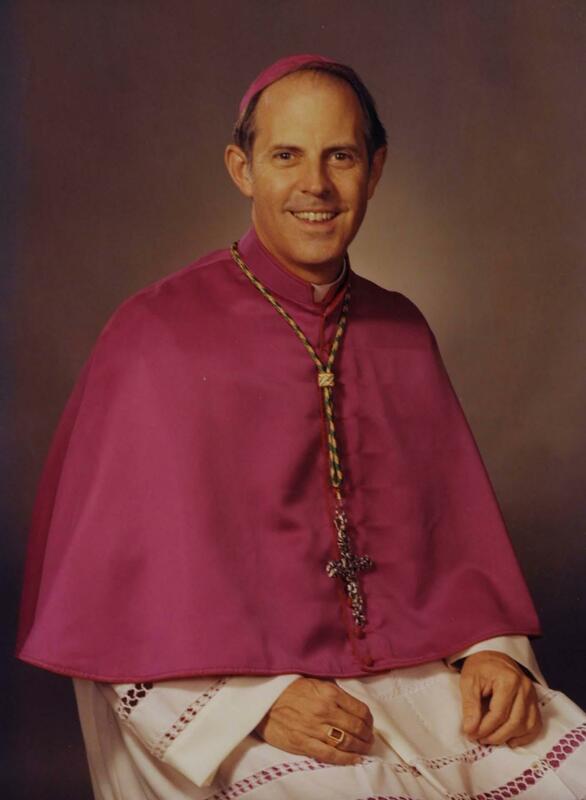 In 1981, Bishop Grahmann was named auxiliary bishop of San Antonio in anticipation of the creation of the Diocese of Victoria, which encompassed his boyhood home. In 1982, he was installed as Victoria’s first bishop. 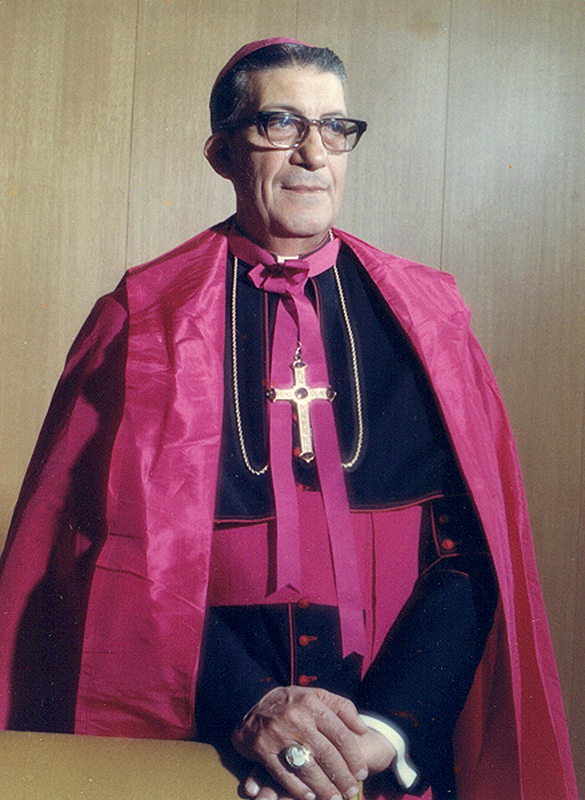 Bishop Grahmann, was appointed co-adjutor Bishop of Dallas in 1989 and succeeded to the See July 15, 1990. In 2006 Bishop Grahmann celebrated his Triple Jubilee, 25 years as a bishop, 50 years as a priest and his 75th birthday. 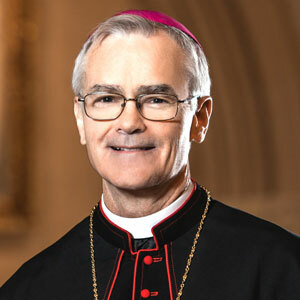 On his birthday July 15, the bishop submitted his resignation as Bishop of Dallas and was succeeded by Most Reverend Kevin J. Farrell, the Seventh Bishop of Dallas. During Bishop Grahmann's administration the number of Catholics in the Diocese increased from 200,000 to 1,000,000. 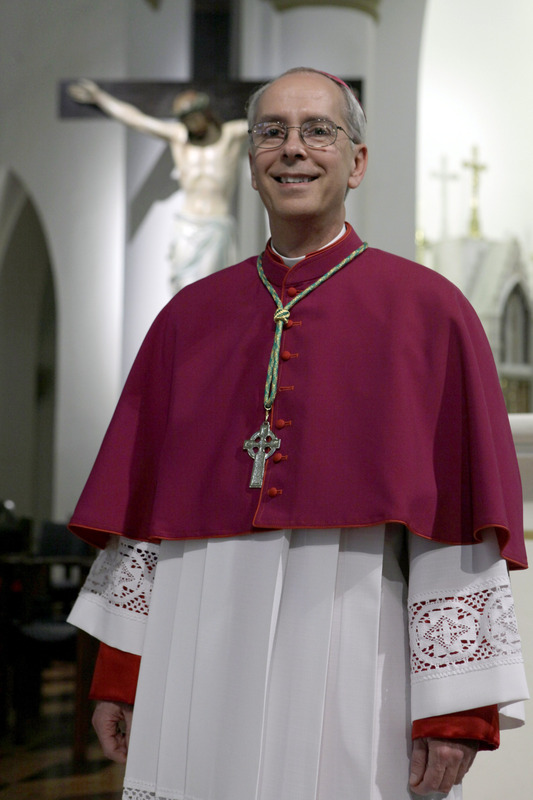 Most Reverend Kevin J. Farrell was appointed the Bishop of Dallas by Pope Benedict the XVI on March 6, 2007 and was installed a s Seventh Bishop of Dallas May 1, 2007. Bishop Farrell was born in Dublin, Ireland in September 1947. The second of four boys, he graduated from the Irish Christian Brothers High School in Drimnagh, Dublin. He entered the novitiate of the Legionnaires of Christ in 1966 and received an M.A. in Philosophy and an S.T.L. in Theology after studies in Rome. After being ordained to the priesthood in Rome on December 24, 1978, then-Father Farrell was assigned to be the chaplain for the University of Monterrey in Mexico. He was incardinated into the Archdiocese of Washington, D.C., in 1984 and served in various pastoral and administrative positions in the archdiocese and was named Auxiliary Bishop and ordained to the episcopate February 11, 2002. Bishop Farrell served in that position until his appointment in Dallas in 2007. Bishop Farrell is fluent in Italian and Spanish. His brother, Bishop Brian Farrell, is on staff at the Vatican. On August 15, 2016, Bishop Farrell was appointed to the Vatican as Prefect of the Dicastery for the Laity, Family and Life. Later, the former Dallas shepherd became Cardinal Farrell on November 19, 2016. Most Reverent John Gregory Kelly was born on March 5, 1956, in Le Mars, Iowa to John and Marilean Kelly and grew up in Colorado. 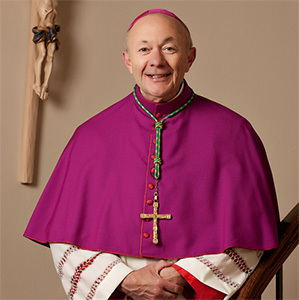 Bishop Kelly came to North Texas in 1976 as a student at the University of Dallas and seminarian at Holy Trinity Seminary in Irving. Bishop Kelly was ordained a priest of the Dallas Diocese May 5, 1982. He has been vicar for clergy since 2008. Pope Benedict XVI named him a monsignor in 2013, and Pope Francis appointed Kelly auxiliary bishop for the Diocese of Dallas on December 16, 2015. On February 11, 2016, Kelly was ordained bishop in the Cathedral Shrine of the Virgin of Guadalupe. Most Rev. Joseph A. Galante, D.D.,J.C.D. Most Rev. Lawrence DeFalco, D.D.